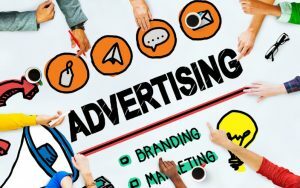 You’ve made the decision to promote your business through advertising. Whether on digital or traditional channels, advertising expenditure can add up quickly. But, if executed correctly, there will be a return on your investment that makes it all worth it. Still, business owners and marketing staff can’t help but feel apprehensive as they commit to spending budget with unknown results looming in the future. 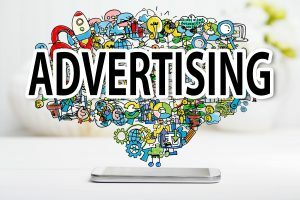 Luckily, there are some tried and true ways to ensure you see positive outcomes for your advertising spend. Decide your goals. All great strategy starts with a vision. Once you have determined what you are hoping to accomplish, it becomes much easier to build the plan to get there. Are you looking to improve brand awareness? Increase sales? Launch a new product? Grow your geographic reach? You can have more than one goal, but it’s best to choose a primary one. Determine audience and message. If you just blast out what you want to say about your business to a mass audience, it will probably fall on deaf ears. Once you know your goals, it should be easy to deduce which audiences you need to engage to achieve them. Take some time to outline your targets’ wants and needs; put yourself in their shoes. Then, craft focused messages that will appeal specifically to them and inspire them to act. Focus your channels. Most companies have limited budgets must fight the temptation to try to appear everywhere, spreading the message too thin to be noticed. With advertising, sustained success is all about repeated exposure to a message. Sure, there will be a couple of people who see an ad once and respond, but usually it takes time for a message to sink in. It’s better to have one or two channels giving great exposure than to have your message be a single blip across multiple media doesn’t don’t get remembered. Be consistent. While there is some tweaking of ad copy that is required for different channels – for example, the spoken word should be different from written ads – overall, it is consistency between ads that creates the cumulative effect of building your brand and ensuring your message is received clearly. Your ads should be consistent with your brand and consistent with each other, so mental connections can be made, and your company gets the credit it deserves. Repurpose existing materials when possible. While strong creative is vital to a successful ad, an advertisement isn’t fundamentally a creativity contest. It’s a means to build brand awareness and increase revenue. If you have materials that work, keep using them! Don’t feel pressure to change a message just because you’re putting more dollars behind distributing it. Also, don’t let your own overexposure to your ads inspire you to change things for change’s sake. As you are tiring of the ad or it’s message, the market is just beginning to absorb it. Make a clear call to action. Going back to the goals you set – what actions do you need your audience to take to make it happen? Do you want them to contact you? To read your website? To follow your social media? To enter a contest? Whatever you want the audience to do, don’t forget to tell them to do it. A lot of businesses make the mistake of throwing up all their contact information and assuming the viewer will pick one of the six or so options. Funneling efforts into one or maybe two modes of communication, especially at the beginning of a campaign, is much more effective to not only get a viewer to act, but also to measure the effectiveness appropriately. Use a memorable number. The nature of advertising is fleeting. Someone might not be near a pen and paper and URLs can be unnecessarily long, complicated, and difficult to spell. A memorable phone number, like a vanity one that spells a word or an easy dial that is an obvious pattern, is a quick and easy way to guarantee a viewer will be able to recall how to contact you. 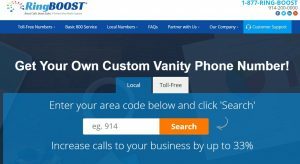 Custom phone numbers, like those provided by RingBoost, have been proven to increase advertising response rates. Plus, phone calls are 10-15x more likely to convert to revenue than web leads. Track your metrics. You can learn from each campaign to improve effectiveness of the next one. And, sometimes, in the case of digital campaigns, you can even pivot in real time. Tracking success metrics will help you to determine where your campaign succeeded or failed. Was it the message? The ad spend? The channel? The creative? Sample metrics include: impressions, response rates, conversions, brand awareness and brand favorability. Ask for advice from the source. While the folks in advertising sales are motivated to sell you packages, it’s also in their best interest if your campaigns are effective. They are the ones who have the inside scoop about what has been most successful in the past. Ask them for their insider view into what makes a great campaign for their audiences – you can even ask for examples. It never hurts to go straight to the source for ideas and inspiration. Advertising is a commitment of resources, time, budget, and patience. But it also is an investment that will pay can in both the short and long term. If you pay careful attention to the strategy going in and respond appropriately to the feedback coming out of your campaigns, you should be well on your way to advertising success.